"Ingeborg Holm" is a heartbreaking social drama, featuring director Victor Sjöström (Seastrom), a star of Silent Hall of Fame. This is a very mature film from the early years of movie making. Victor Seastrom was successful in his native Sweden before making a career in the USA in 1924-1930. His Hollywood films are still copyrighted, this is why we show you films from his previous years. The film enjoys a nice rating in IMDB, one of the highest of its time. Hilda Borgstrom raises a happy family in "Ingeborg Holm" (1913), director Victor Seastrom (Sjöström). Hilda Borgstrom and her husband discuss a new venture in "Ingeborg Holm" (1913), director Victor Seastrom (Sjöström). 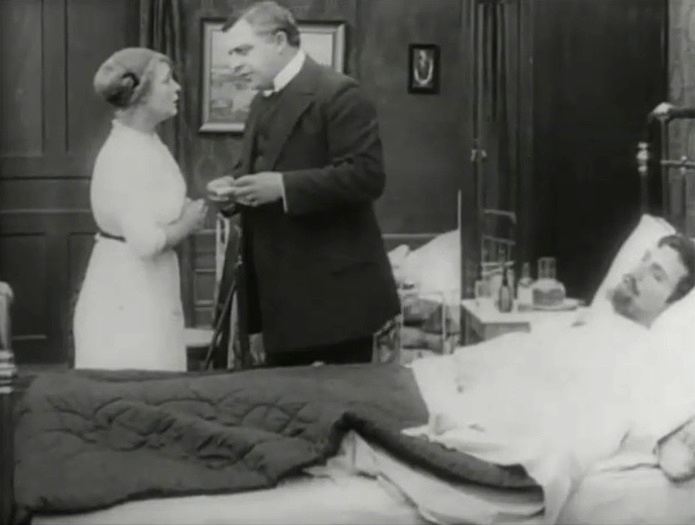 Hilda Borgstrom's husband gets sick in "Ingeborg Holm" (1913), director Victor Seastrom (Sjöström). Hilda Borgstrom loses her husband in "Ingeborg Holm" (1913), director Victor Seastrom (Sjöström). 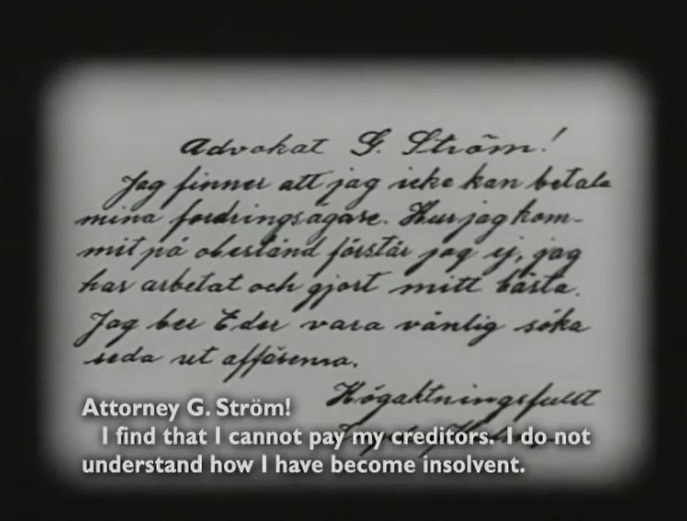 Hilda Borgstrom loses her money in "Ingeborg Holm" (1913), director Victor Seastrom (Sjöström). 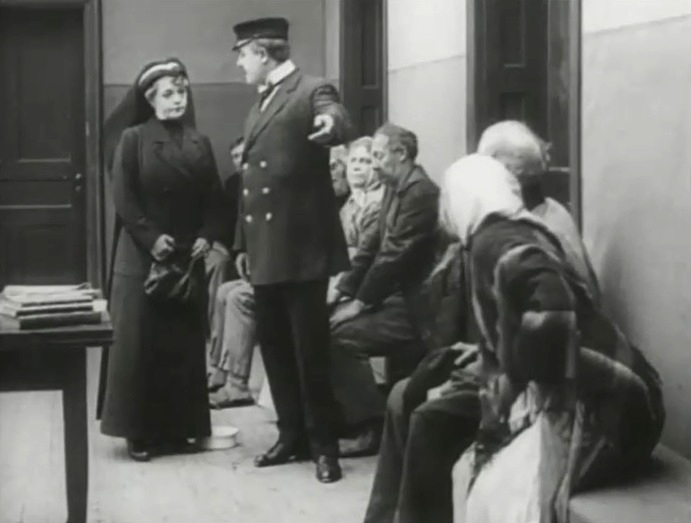 Hilda Borgstrom enters the poverty row in "Ingeborg Holm" (1913), director Victor Seastrom (Sjöström). Hilda Borgstrom has to give up her youngest child to foster parents in "Ingeborg Holm" (1913), director Victor Seastrom (Sjöström). Hilda Borgstrom has to give up her elder daughter to foster parents in "Ingeborg Holm" (1913), director Victor Seastrom (Sjöström). Hilda Borgstrom has to give up her son to foster parents in "Ingeborg Holm" (1913), director Victor Seastrom (Sjöström). Hilda Borgstrom learns that one of her children is gravely ill in "Ingeborg Holm" (1913), director Victor Seastrom (Sjöström). Hilda Borgstrom flees to see her sick child in "Ingeborg Holm" (1913), director Victor Seastrom (Sjöström). 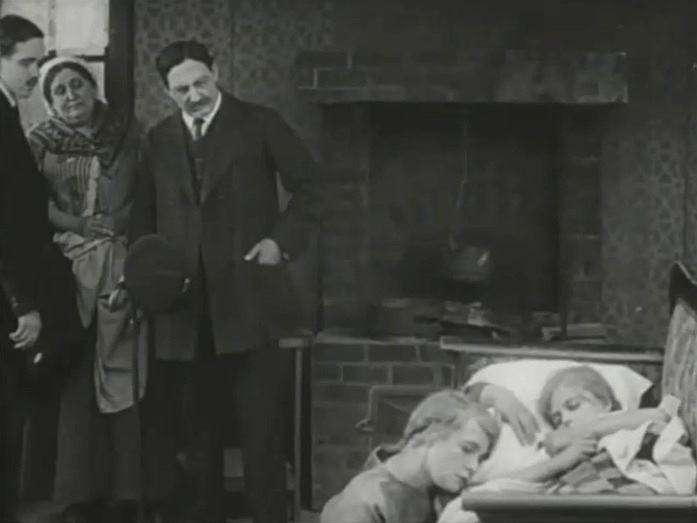 Hilda Borgstrom sits by the bed of her sick child in "Ingeborg Holm" (1913), director Victor Seastrom (Sjöström). 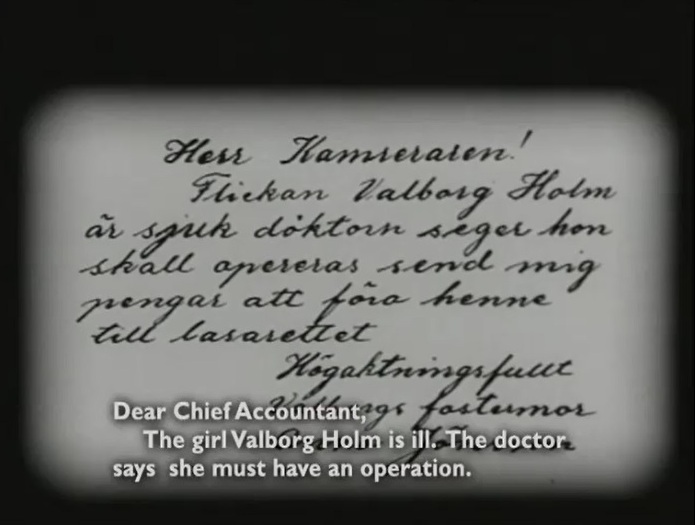 Hilda Borgstrom is distraught that her youngest child does not recognize her in "Ingeborg Holm" (1913), director Victor Seastrom (Sjöström). Hilda Borgstrom seems to lose her mind after her youngest child did not recognize her in "Ingeborg Holm" (1913), director Victor Seastrom (Sjöström). Hilda Borgstrom meets her grown-up son after many years in "Ingeborg Holm" (1913), director Victor Seastrom (Sjöström).